Online mobile phone store MobiCity has claimed it has scored a "world exclusive" by becoming the first online retail outlet to sell a grey import version of the Samsung Galaxy Note Android phone. 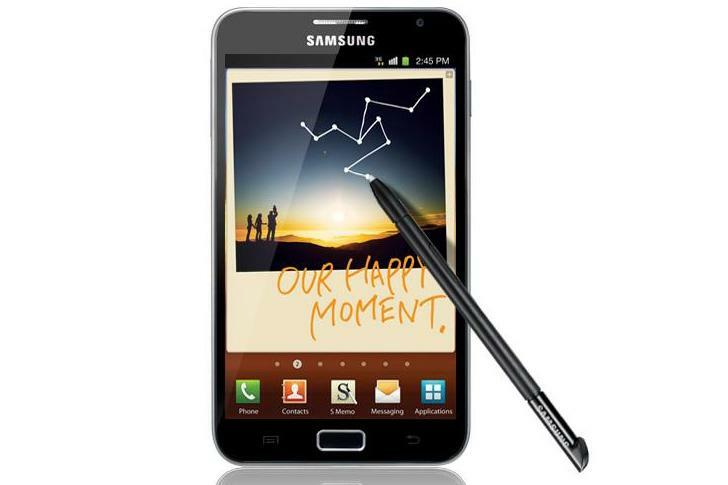 Slated for a release in selected worldwide markets next month, the Samsung Galaxy Note won't officially launch in Australia until "early 2012". However, it's now available for Australian consumers to purchase outright through MobiCity. At the time of writing, the Android smartphone is listed on the MobiCity site for $899. The Samsung Galaxy Note is best described as either an extra large smartphone or a small tablet — or a hybrid device to sit in between. It has a large 5.3in screen and includes a stylus called the "S Pen" that allows users to take notes, draw onto the screen and annotate images and PDF files. Samsung is marketing the Galaxy Note as an all-in-one device. The official Galaxy Note micro site says the Android phone intends to "consolidate the core tasks of multiple devices" including the smartphone, the tablet and a physical pen and paper. Last month, Samsung Australia revealed exclusively to <i>GoodGearGuide.com.au</i> that the Galaxy Note would not officially launch in Australia until next year. "Samsung is working with our partners to launch Galaxy Note in Australia by early 2012," said a Samsung Australia spokesperson at the time. "Essentially, we do want to bring it to Australia but it won't be until next year". The Galaxy Note isn't the first Samsung product to be sold in Australia before it has been officially released in the country. Earlier this month, Apple won a Federal Court case which prevents Samsung from selling its Galaxy Tab 10.1 Android tablet in Australia. However, the banned tablet is freely available to purchase from a number of stores online and has been since as early as July. Earlier this year, the popular Samsung Galaxy S II Android phone was also available online from grey import stores before it officially launched in Australia. That prompted a clearly irate Samsung Australia to release a statement to the media regarding imported Samsung devices. "It has come to our attention that a third party has been offering Samsung products to various journalists to test and review prior to their official launch in the Australian market," said Samsung's vice president of telecommunications Tyler McGee in a statement at the time. "These handsets are often imported from overseas markets and will not provide you with the optimal user experience that a local version of the device will." We contacted Samsung Australia to get its thoughts on the Galaxy Note being sold before its Australian release, but have not yet received an official response. We'll update this article once more information is provided. Do you think Samsung has a right to feel aggrieved with grey import suppliers? Let us know in the comments below.